Crews are on the scene of the second crash of the day along Belair Road in Perry Hall. 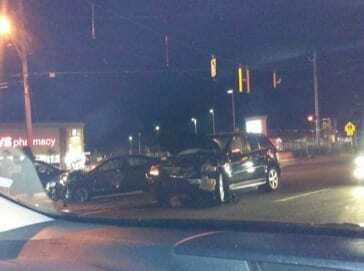 The crash was reported at about 7:45 p.m. on Sunday at the intersection of Belair Road and Joppa Road. Power should soon be restored to many Perry Hall residents after a Sunday afternoon crash at the intersection of Belair Road and Silver Spring Road took out a utility pole.